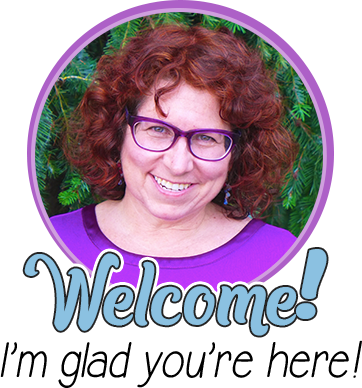 Kristen is our guest blogger today, joining us from A Walk in the Chalk. She’s sharing her strategies for reaching ELLs in the classroom by incorporating modified guided reading strategies. Guided reading is an important component of a balanced literacy program. It is when individualized reading instruction is provided to a small group of students. The group size is typically between four to six students, and each lesson is approximately 20 minutes. The teacher meets with each group several times a week and provides targeted instruction on reading skills and comprehension strategies. Aren’t guided reading lessons the same for ELLs (English language learners) as with native English speakers? Yes and no. The same effective strategies used with native English speakers are used with ELLs, but additional strategies are necessary in order to help ELLs navigate through their new language. Let’s face it: Our ELLs are learning content and the English language at the same time. 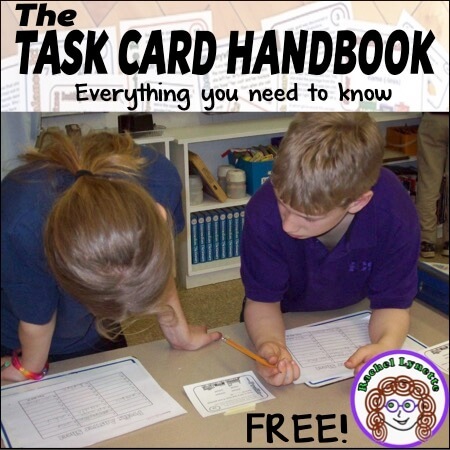 In order for them to fully understand and interact with the text, certain instructional strategies require more attention, and scaffolds need to be added to support the language. 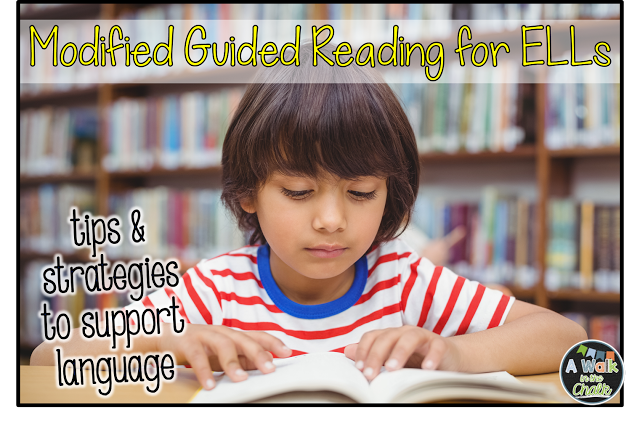 Let’s take a look at how we can modify guided reading instruction to best support our English language learners. When we choose a guided reading text for our ELLs, it’s important to keep some questions in mind. Does the book topic provide cultural relevance? Will students have prior knowledge of the topic? What background knowledge will you need to provide the students? Choosing texts that students can relate to will add to their level of comprehension. Additionally, as with any guided reading group, we want to choose books, or texts, that are at the students’ instructional reading levels. For ELLs we also want to choose books that don’t have a heavy language load. If I find a book at my students’ reading level, but the language is heavy with a lot of new vocabulary or grammatically complex sentences, I may choose to find a different book. It’s also important to choose age appropriate books for our ELLs. Avoid “baby” books, especially for the older students. Students may be reading at a primary level in English, but providing “babyish” books can have a negative impact on a student’s self-esteem. It can also be a source of embarrassment for them. It may be more challenging to find emergent leveled books for older ELLs, but they are out there. When choosing a text, also note areas that might be confusing. Some areas that can hinder comprehension are the use of figurative language, homophones, multiple meaning words, and new vocabulary, as well as grammatically complex sentences. 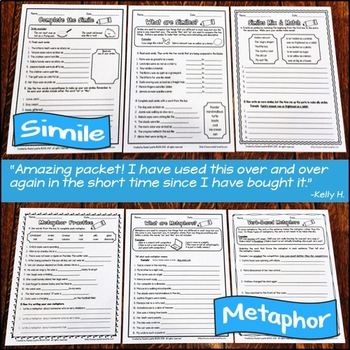 Addressing these before reading will greatly support students’ understanding. Lastly, whenever we are able to integrate reading with other content areas, the better it is for our ELLs. 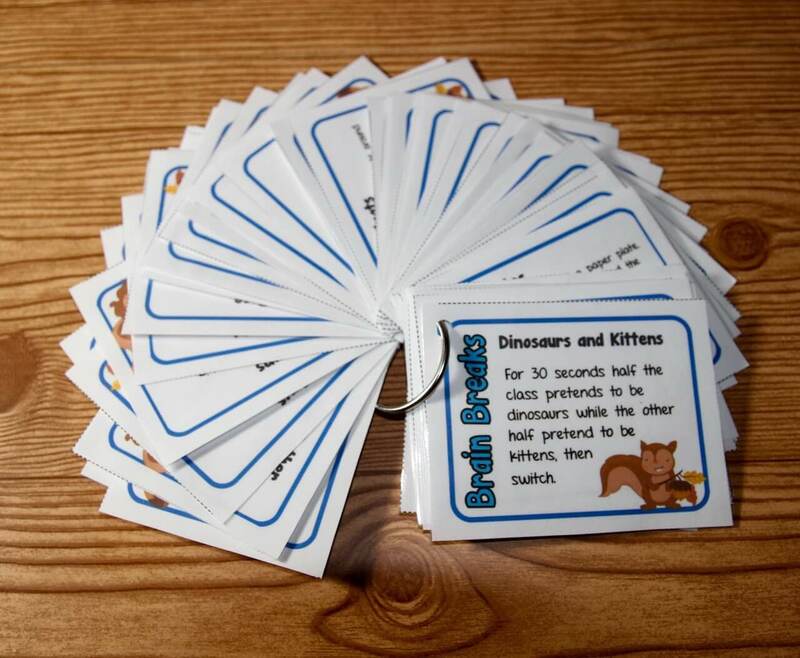 This provides multiple exposures of a topic, allowing students to gain a deeper understanding of the content. I love finding books or passages that tie into the Science and Social Studies curriculum, because this additional exposure also sets them up for further success in those classes. As the text is introduced, clear and concise objectives should be provided. 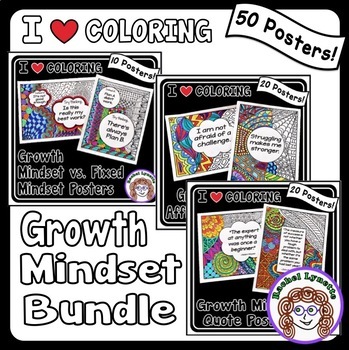 I post both content and language objectives at the beginning of each lesson. The content objective is “what” I want them to learn, and the language objective is “how” they will show their understanding. 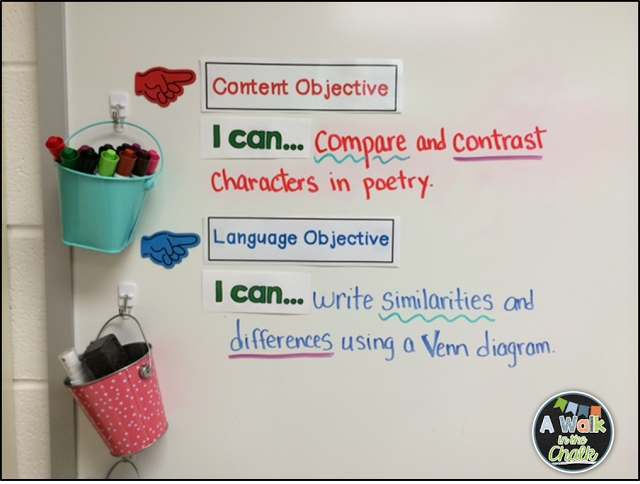 Setting clear objectives gives students a purpose for reading, as well as a goal that is clear and attainable. 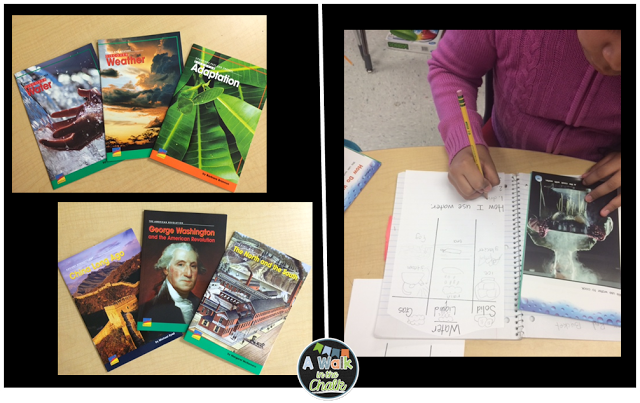 Next, and one of the most important components of modified guided reading, is activating or building background knowledge as a pre-reading activity. ELLs often lack the background knowledge needed to fully understand a text. In order to bring cultural relevance to a topic, we need to activate the knowledge they already have, or when there is none, we need to build it for them. We can build this by using real world items (realia), videos, pictures, or shared readings. This component is crucial for setting ELLs up for success. Imagine your new student is from a tropical country, and the book you are reading with him/her is about a snowy winter. The student may not have background knowledge of what snow looks like, feels like, tastes likes, sounds like, or smells like. Using pictures, video clips, and realia can provide the background knowledge the student needs to gain a deeper understanding of the text. As the text is introduced, we also want to frontload new vocabulary before reading. This includes both academic vocabulary, as well as any tricky everyday vocabulary. I always try to look at vocabulary through the eyes of an English language learner. A word that may not seem tricky to me could be for my ELLs. Introducing the text, building background knowledge, and frontloading new vocabulary are critical to scaffolding the guided reading text. Spending extra time on this component will be extremely beneficial. 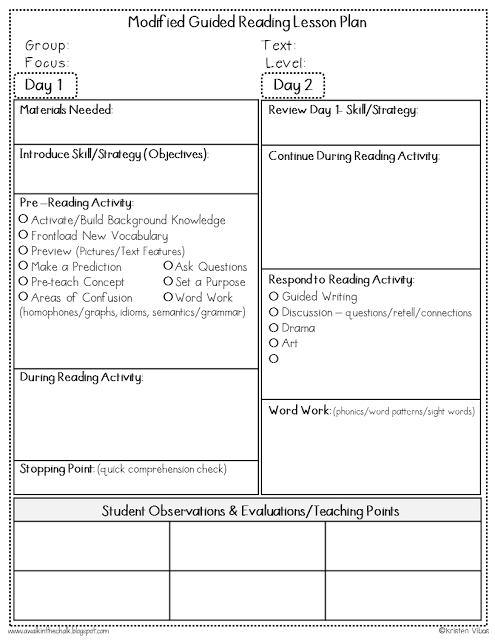 Next, monitoring student understanding as they read is done with quick comprehension checks. I listen to each individual child read, and then I will ask him/her open-ended questions or have him/her make a connection, a prediction, or an inference. The student then “turns off their volume” and continues to read silently while I listen to the next student. This continues as I get to each student in the group. We can’t assume our ELLs understand; it’s necessary to provide those comprehension checks to either help them navigate the text further or confirm that they are indeed understanding. This is the “language objective.” It’s the “how” they will show what they know. 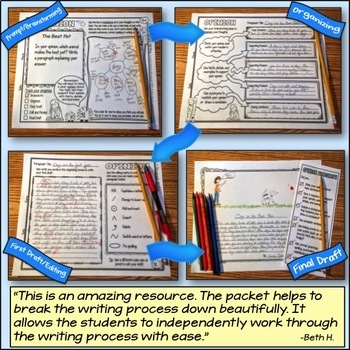 You may choose to incorporate a guided writing activity, fill in a graphic organizer, use drama, participate in a discussion, or answer questions about their reading. 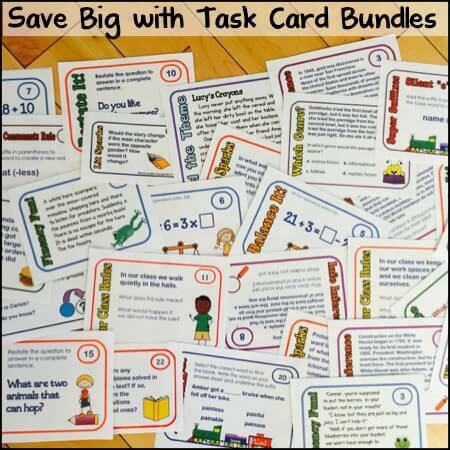 This component will help solidify understanding and afford the use of language output in a low anxiety setting. 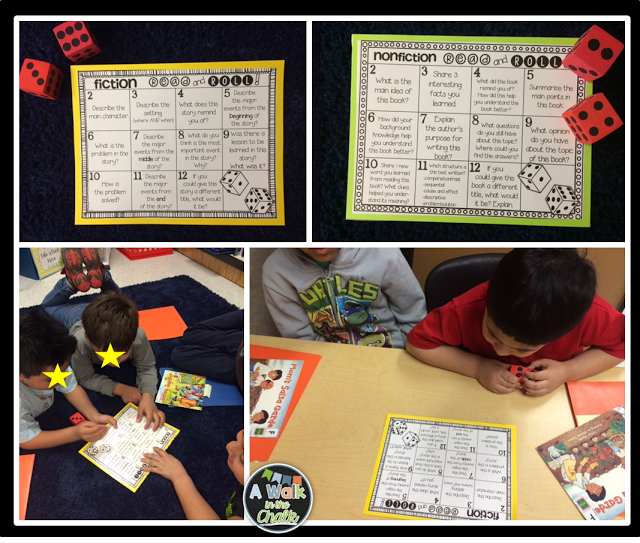 Word work is also an important part of reading instruction, and your guided reading lesson is a great time to incorporate it. Our ELLs need word work. Instructional time devoted to phonics, spelling patterns, and sight words will help build a foundation for learning English. 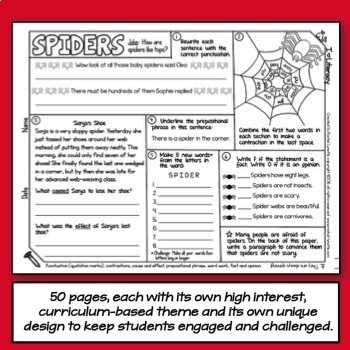 I typically find areas of focus within the guided reading text. 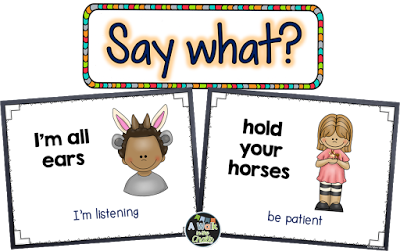 I also look for sounds in English that are different in my students’ native language and focus on building awareness and pronunciation of these new sounds. 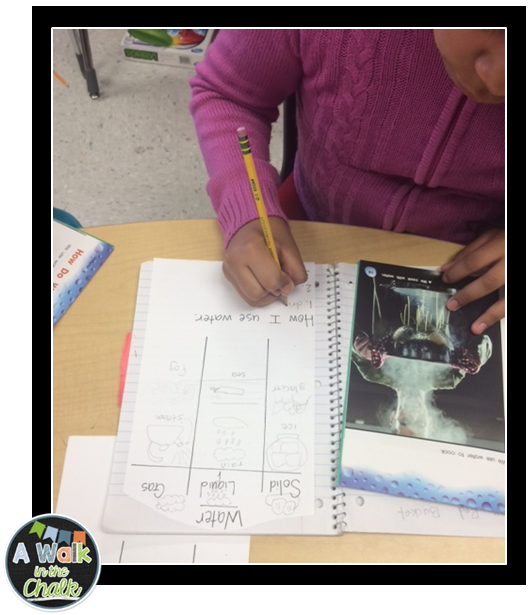 Spending just a few minutes each lesson on word work will have a great impact on your ELLs’ progress in both their reading and writing skills. 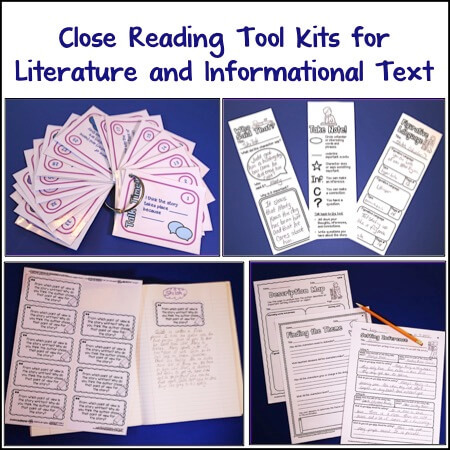 Integrating listening, speaking, reading, and writing skills within a guided reading lesson will provide opportunities for students to grow in all areas of literacy. 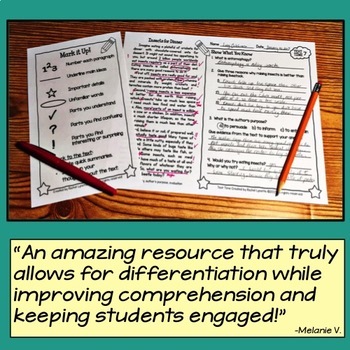 The goal is to provide ELLs with the skills, strategies, and support they need to understand and interact with the content and curriculum at each grade level. By doing this, the ultimate goal of closing the achievement gap can be better realized. Modified guided reading instruction enables the reading and language skills of students to be developed. It targets the specific needs of ELLs and provides them with a deeper and broader understanding of text. Through this practice, the literacy skills, language development and self confidence of your English language learners will flourish. Are there any books in particular that you like to use with your ESOL students for modified reading groups? We are looking to order some more for our ESOL Team. I am wondering if there is anything specific out there. Thanks! I would be interested in finding out books you might recommend as well. Read this article, and loved it! Then I saw who wrote it. Ha! I follow you on TpT, Kristen! Thanks! I love this blog post. Would it be OK if I share it with a direct link to your blog in a blog I share with teachers on my campus? It has so much great information. I will give you credit and insert a link that takes them directly to your blog. What guided reading level would you recommend when you have 3 students in a group, but one is reading at an A level, one is at a C level and one is at an E/F level, but they are all still in the beginning level? I love this post! You really make it easy to support a Newcomer at their level. I do have a question, though. What level book would you use if you have 3 students in a group that are all fairly new to the country, but are at different reading levels. One is brand new and is at an A level. One has been here a couple months and is at a C level and one has been here for 4 months and is at an E/F level. What level book should I use during our small group time to meet the needs of all 3 students? You may want to read “Modified Guided Reading: Gateway to English as a Second Language and Literacy Learning,” by Avalos, Placencia, Chavez and Rascon. It was published in The Reading Teacher, 09 November 2011. 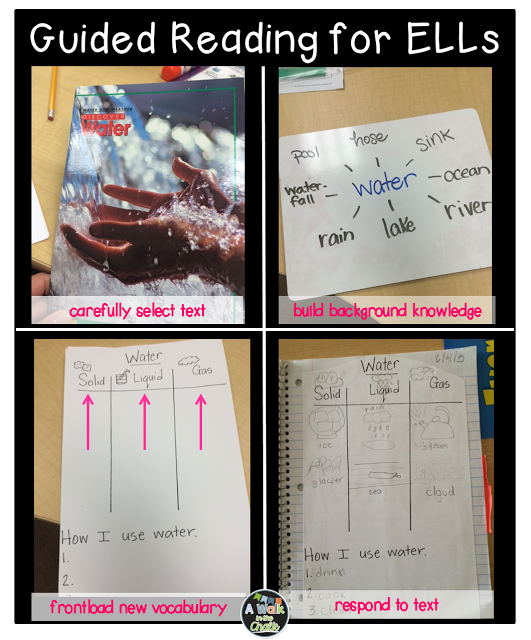 It provides additional information about working with English Learners during guided reading. Hi Donna! Is the purpose of “modelled reading” with this gentlemen to demonstrate fluency? And I am assuming that you are simply reading aloud and he is listening. I don’t have any specific examples to share, but I’d suggest that you pick short, high interest articles or passages, perhaps about things that are going on around the world today. Time, Time for Kids and ReadWorks.org have interesting articles. It would be a great follow up activity to have a discussion about the article/passage once you are finished reading. Ask open ended questions and follow up questions. 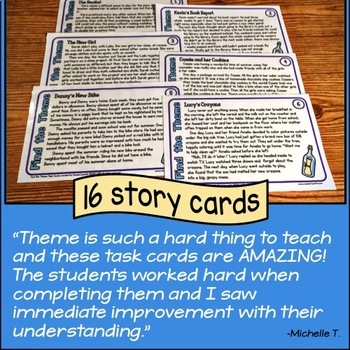 You could even incorporate a writing activity as an extension of the discussion, or find a leveled article around a similar topic for him to read at your next session. Thanks for the question, Donna!